Iraq will stop trucking crude from its northern Kirkuk oilfield to Iran in November to comply with sanctions imposed on its neighbour by the United States, five sources familiar with Iraqi oil export operations said on Friday. Kirkuk is one of the biggest and oldest oilfields in the Middle East. Last year Iraq began to ship crude from Kirkuk to Iran for use in its refineries, and Iran agreed to deliver the same amount of oil to Iraq’s southern ports. Currently, Iraq is exporting less than 30,000 barrels per day (bpd) to Iran via truck, the sources told Reuters. “Kirkuk oil trucking to Iran will be halted in November in line with the American sanctions against Iran. (State oil marketer) SOMO plans to sell 30,000 bpd from a small oilfield near Mosul as of November as an alternative. SOMO issued the tender on Thursday,” one source said. President Donald Trump’s decision to withdraw the United States from a 2015 international nuclear accord with Tehran in May and reimpose sanctions has put Iraqi Prime Minister Adel Abdul Mahdi’s incoming government in a difficult position as the country’s economy is closely intertwined with neighboring Iran. Abdul Mahdi said on Thursday that Iraq would prioritize its own interests and independence when it comes to helping the U.S. enforce the sanctions but Washington has said there will be consequences for countries that do not respect the sanctions. “The U.S. has been putting pressure on Iraq to suspend shipments of oil to Iran and to resume Kurdish oil flows towards Turkey. If Turkey gets more oil from Iraq, it will be more difficult for Ankara to argue it needs a U.S. waiver to continue buying Iranian oil,” a source familiar with Iraqi oil export operations told Reuters. Former prime minister Haider al-Abadi’s outgoing federal government agreed a deal in mid-October with the Kurdistan Regional Government (KRG) to resume exporting crude to Turkey’s Ceyhan port via the KRG, the sources said. The deal is subject to final approval by Abdul Mahdi and Oil Minister Thamer Ghadhban, they added. “Kurdish authorities reached a deal with Abadi’s government to resume Kirkuk exports and it was decided that the final say should be left to the new government and oil minister to sign a final deal,” one source said. Two oil officials with the North Oil Company (NOC) confirmed to Reuters that the federal government and the KRG had reached a deal but that Abdul Mahdi’s signature is needed before it becomes final. Meanwhile, SOMO announced a tender on Thursday to sell small quantities of heavy crude from the northern Qayyara oilfield for export by road tankers. SOMO invited companies to submit bids by Nov. 4, right around when new sanctions against Iran come into effect. U.S. energy secretary Rick Perry said last month The Trump administration was not considering a release from the U.S. emergency oil stockpile to offset the impact of looming Iran sanctions, and will instead rely on big global producers to keep the market stable. He said up to 300,000 barrels per day (bpd) of oil could reach markets if Iraq allows it to flow from the Kurdistan region in the north. 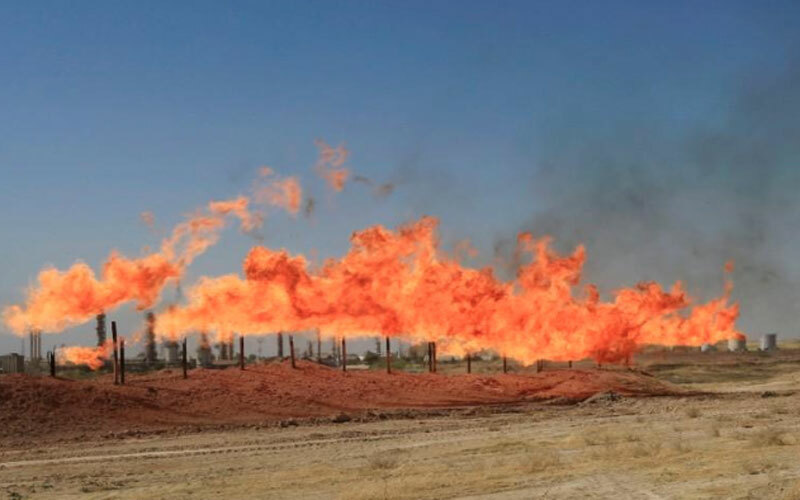 Late last year, Iraq began diverting output from Kirkuk oilfields to local refineries to boost fuel production and help free up more oil for exports from southern oilfields. Exports from Kirkuk’s oilfields were halted after an Iraqi military offensive to retake the disputed territories which had come under Kurdish control in 2014 following a failed Kurdish independence referendum opposed by Baghdad.